Since the Balkan peninsula is located in southeastern Europe and borders on some of the most beautiful seas in the world, there are literally hundreds of stunning beaches here. 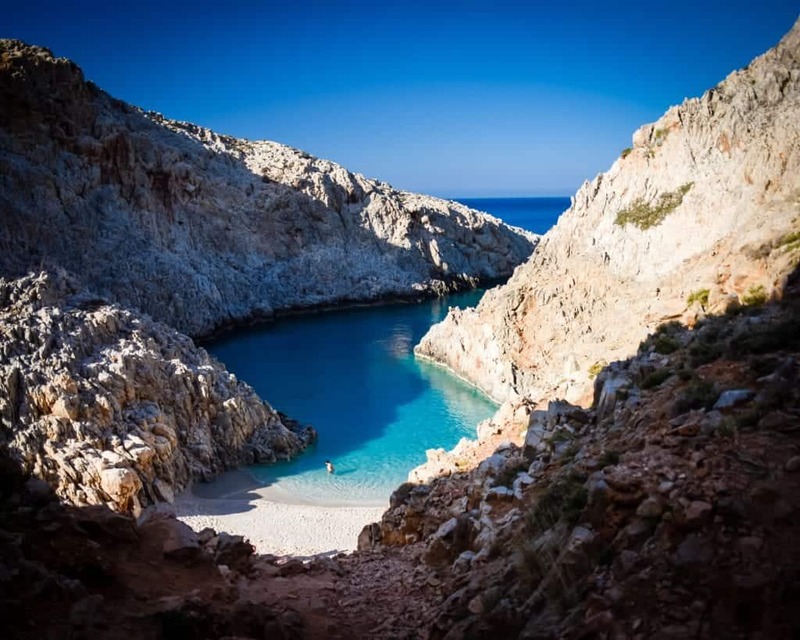 It’s possible to have great beach days from May through September on the mainland, and you can stretch beach season all the way from April to October if you head to some of the southernmost Greek islands. 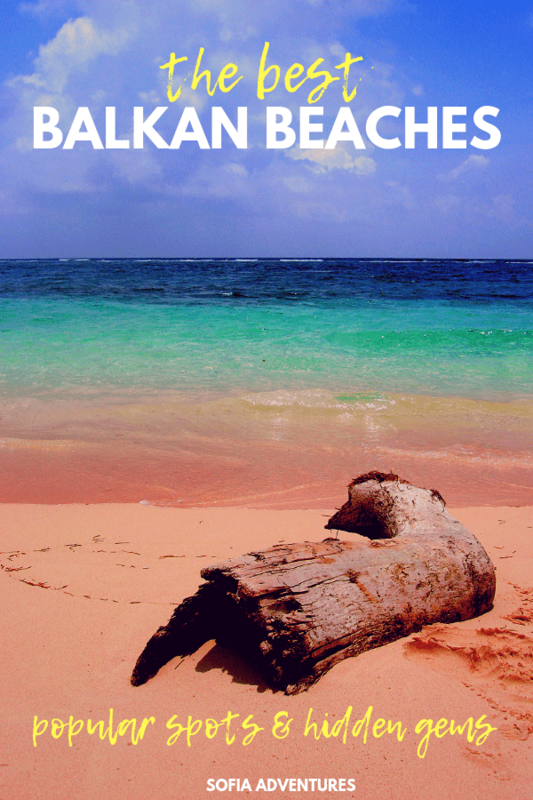 Here are ten of our favorite Balkan beaches to help you plan your next beach trip. The Albanian Riviera just might be the best stretch of beach in the world that people don’t know exists. 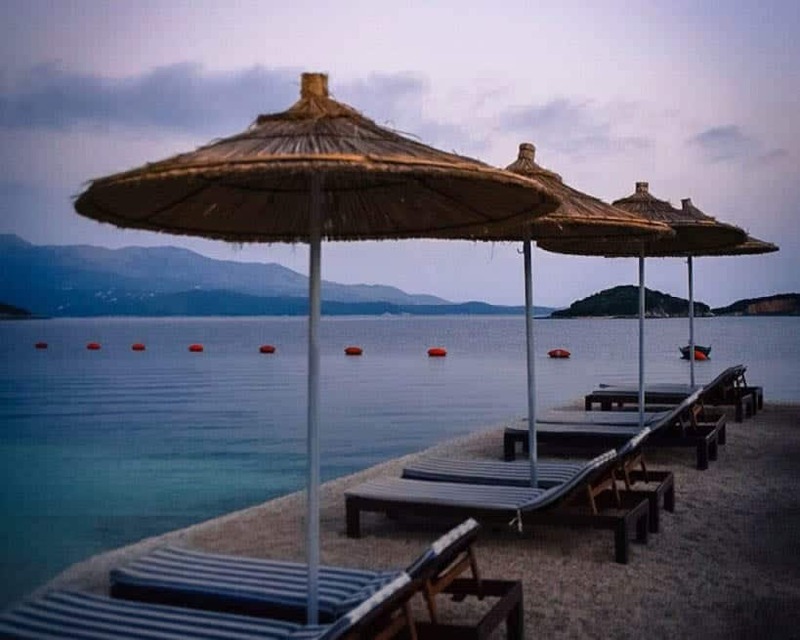 Ksamil, located just across the water from Greece’s Corfu island, is absolutely stunning (think as beautiful as any Greek or Croatian beach you’ve heard of), but at Albanian prices (the best in the Balkans, which is saying a lot). If a Greek beach vacation can be a bargain (which it can!) then the price of an Albanian beach vacay will blow your mind. If tiny Ksamil feels too small, you can head to nearby Sarande instead. For those who like to have a beach vacation with a side of culture, there a UNESCO World Heritage Site, the ancient Roman city of Butrint, just a short bus ride away. Truthfully, I could fill this list with all Greek island beaches, there are that many great ones to choose from. (And if you want to pick out a few Greek islands to visit, check out our Greek island hopping guide). However, while you’ll find gorgeous beaches from Hydra to Crete, Seitan Limania beach is truly a gem. When you arrive, you have to climb down narrow rock faces, but once at the bottom, you’re greeted with clear turquoise water surrounded by stunning red cliffs. Its remoteness keeps it relatively quiet compared to some of Crete’s beaches, but you’ll need to BYOB since there are no businesses on the beach. Another favorite Greek island beach is Lindos, which is one of our favorite things to do on Rhodes. If you need help choosing between these two great options, we have put together a guide on how to choose between Crete or Rhodes. 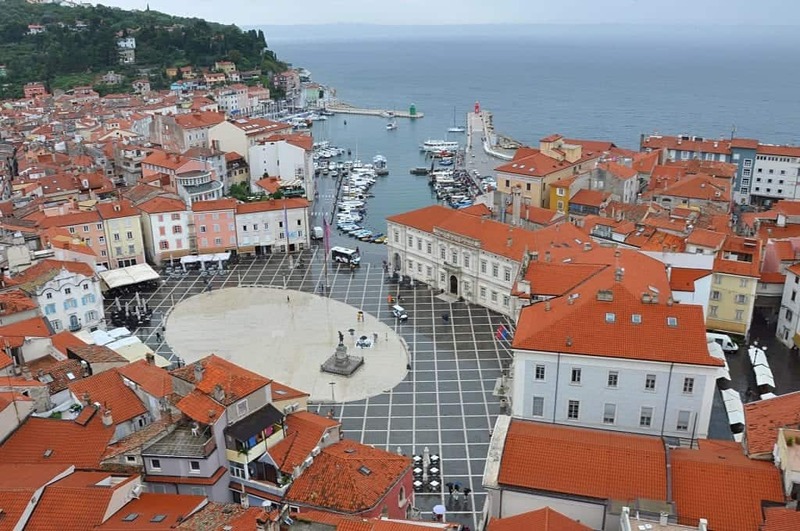 The closest thing the Balkans have to an Italian-style beach, Piran is a small slice of heaven on the coast of a mostly land-locked Slovenia. The beaches here are rock beaches, and you’ll find Slovenians sunbathing on every slice of rock. The highlight of Piran beach is how close it is to the beautiful Venetian-built town, so you can wander the streets and get lost in between dips. You can also grab a bite to eat right on the water while enjoying the beautiful views. 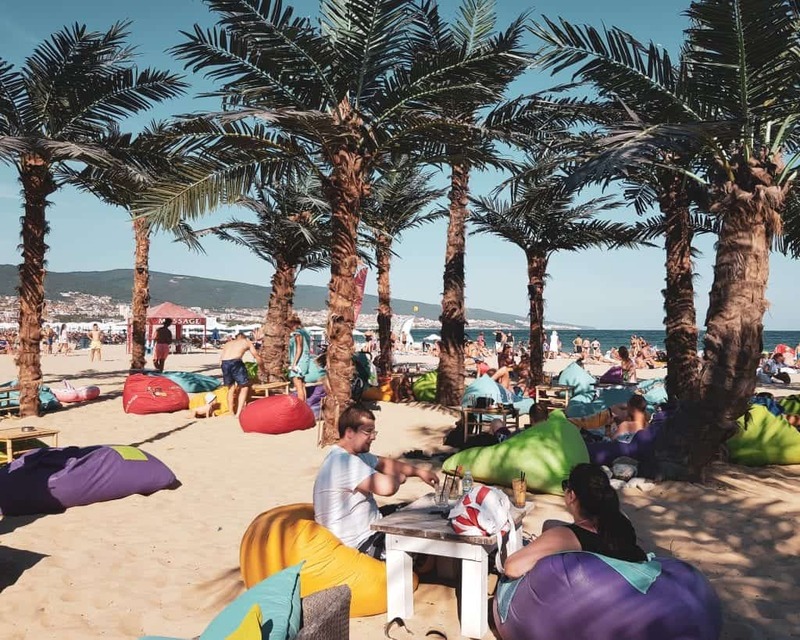 Sunny Beach, the most popular beach in Bulgaria, does one thing better than anywhere else in the Balkans: fun. Happy hour specials might just be buy-one-get-one, beach clubs go hard, and you’ll rarely spot an adult without a drink in hand. 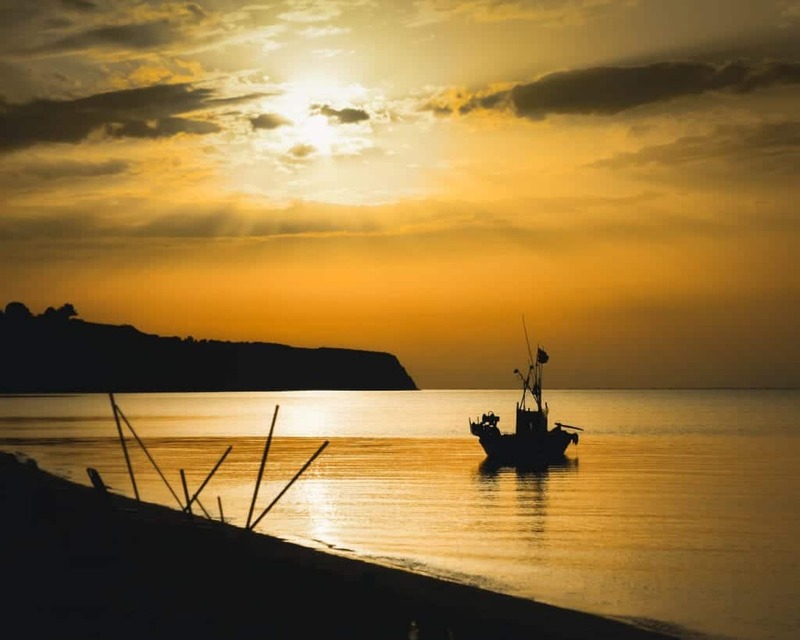 For those who want more than just a good time, there are cultural and water activities that you can add to your Black Sea vacation, like a visit to the UNESCO World Heritage site town of Nessebar (visible from Sunny Beach) or booking a cruise from Sunny Beach to Turkey. While too many who come to Dubrovnik only see the old city as a day trip from a cruise ship, those who choose to stay longer will find fantastic beaches full of locals enjoying Croatia’s stunning coast. 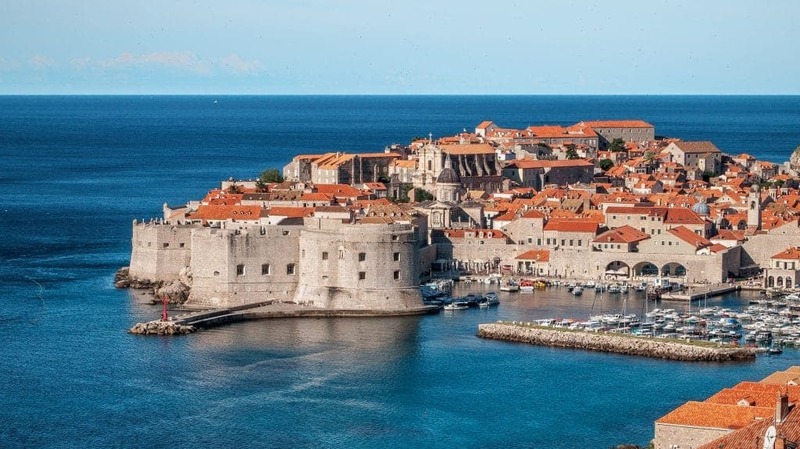 While there are a ton of islands and coastline to enjoy in the country, the beaches of Dubrovnik offer a quiet reprieve from the city’s reputation as over-touristed. Head to the city beach or to Sveti Jakov for quieter places to enjoy with Croatians, avoiding the throngs of Instagrammers inside the city walls themselves. Another option is to stay in a hotel with a private beach, where you can ensure a bit of quiet. 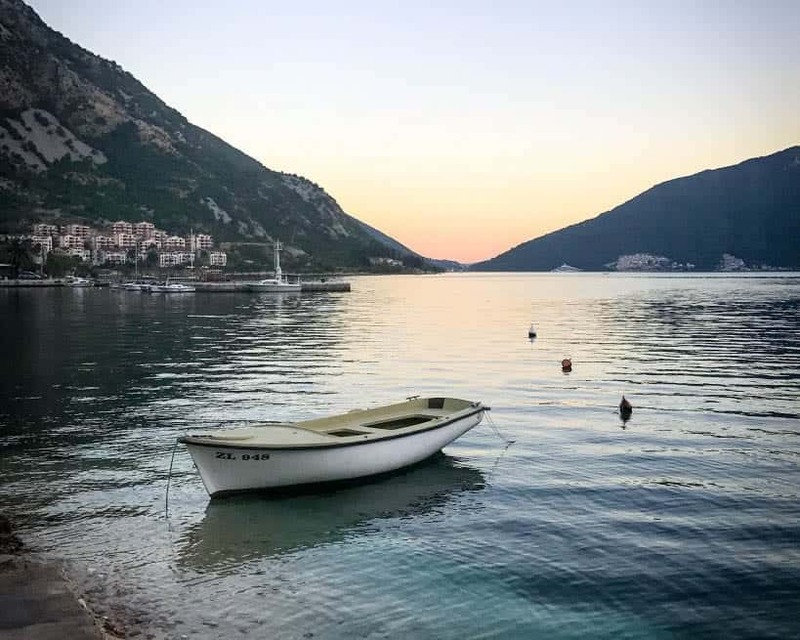 Croatia is no beach-goer’s hidden gem (it appeared on the Real Housewives of Beverly Hills so it’s fully mainstream now), but even bustling Dubrovnik can offer a quiet respite and relaxing beach stay. 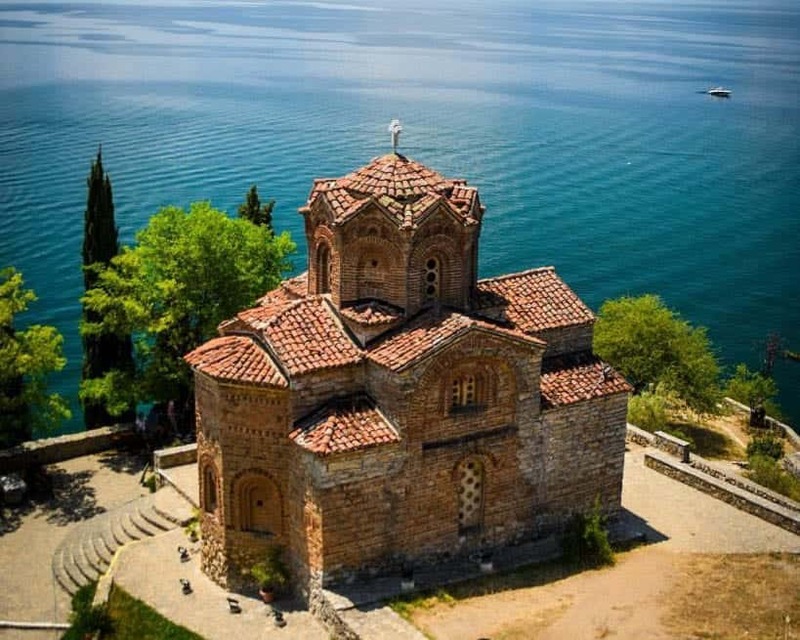 Lake Ohrid is called the Jerusalem of the Balkans because of the plethora of historic churches and monasteries important to the Eastern Orthodox faith that are located here. The lake is a UNESCO World Heritage Site, both for this history and for the specific ecology of the lake. While many folks outside of Macedonia have seen these cliffside churches and monasteries, fewer are aware that Lake Ohrid has striking beaches. The lake is a great place to swim, with water that is cool but not too cold. The beaches range in type depending on where you go, and you can hire boats to take you out on the lake and see the sunset from the water. The Bay of Kotor is surrounded by beautiful beaches, but my personal favorite is the town beach in Risan. Tucked a little ways away from more-popular towns like Kotor and Perast, Risan is a great place to come for some peace and quiet after fighting the crowds in Kotor’s old city. The beaches here also remain relatively empty and more local-centric, but the water is cool and fabulous to swim in. There are restaurants and shops right on the water, so it’s easy to combine a dip in the water with an excellent lunch or dinner right on the water. 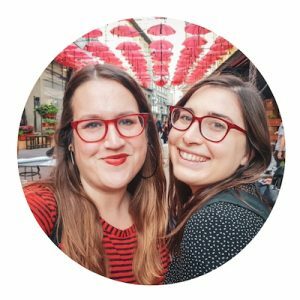 You can go to one of the restaurants or pick up groceries and make yourself a delicious Balkan picnic. 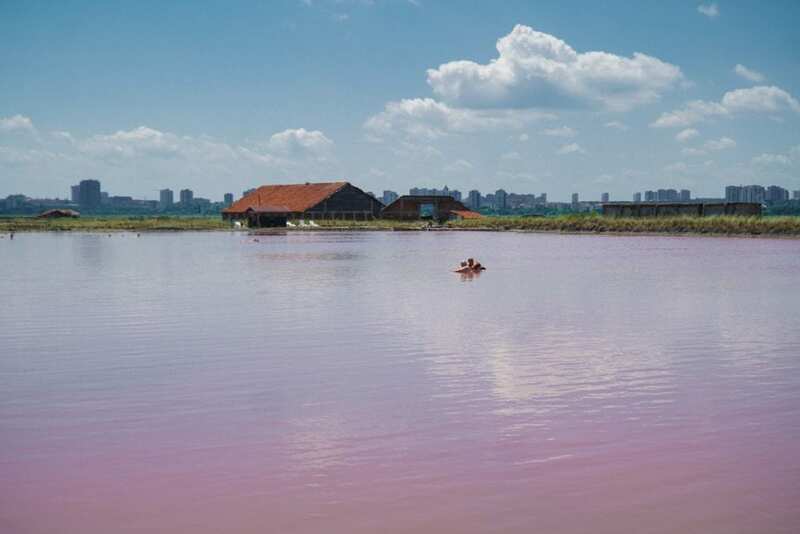 Did you know that the Balkans have a pink lake? Bulgaria’s Lake Atanasovsko is a beautiful pink lake that doubles as a natural spa. You relax in the salty pink water, cover yourself in the lake’s black mud, and then wash it off in the green waves from the Black Sea just one hundred meters away. The best part? You get the delightful natural spa treatments, the Instagram-worthy Pink Lake shots, and a swim in the delightful Black Sea all in one visit. 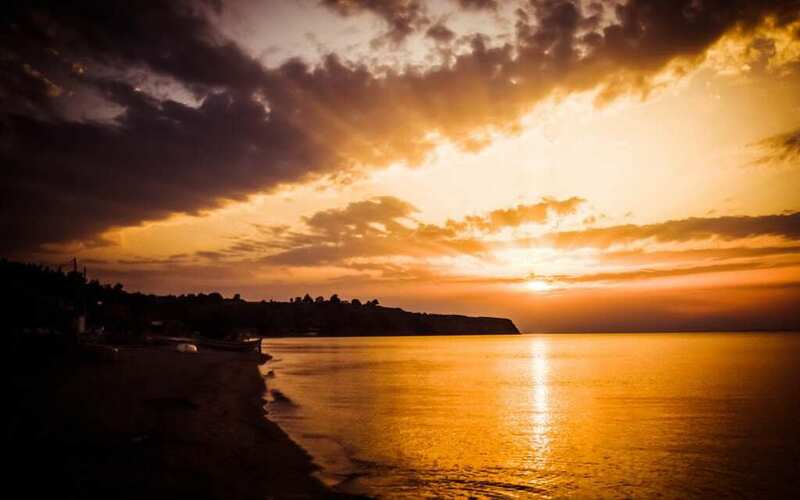 Agia Triada is a chill beach town an hour outside of Thessaloniki, with a relaxed atmosphere but seriously above-par traditional Greek food. It’s a fabulous place to head if you need to relax away from the crowds but also want the delight and ease of beach-town life. On one side are beautiful cliffs, and you can see the shores of Thessaloniki on the other side. Only come here if you promise you won’t be an “Ugly Tourist,” as we absolutely don’t want this Balkan beach gem to get ruined. Right now, it’s our little secret, and we’re trusting you with it. Belgrade, sitting at the confluence of the Danube and Sava rivers, is packed with great city beaches. Lido Beach on Great War Island is a must-do activity in Belgrade in the summertime. 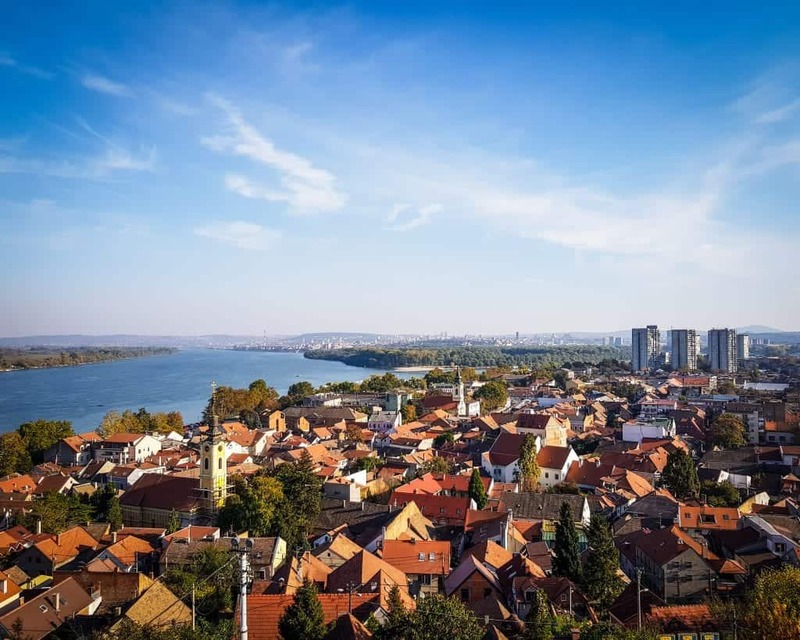 Perfect for those who want a real Balkan city break with a side of beach vacation, you can even party on the Splavovi, the riverboat clubs that line the shore in Novi Beograd. Belgrade is a fantastic city to visit, with great day trips, activities, and street art. But the riverfront beaches and river islands add a whole extra level that set it apart from other Balkan capitals.